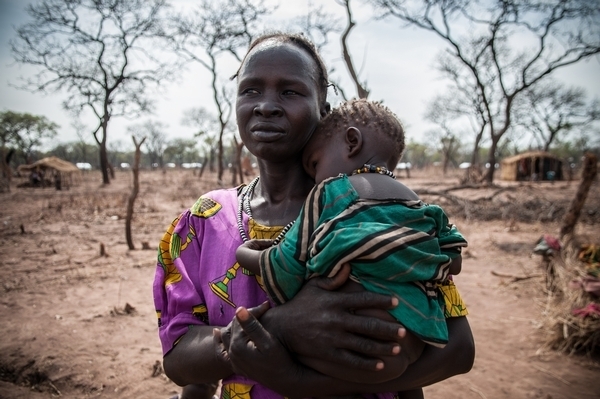 Médecins Sans Frontières/Doctors Without Borders (MSF) warns of dire medical consequences as tens of thousands of new refugees crossing from Sudan into South Sudan find refugee camps full and unable to provide the basic life-sustaining essentials. “I have seen people dying of thirst…they have been walking for four to six days with barely any food and hardly any water, which is a high price for a human body to pay.” - Dr. Erna Rijnierse, medical team leader, Jamam camp and Km18. The situation in Upper Nile and Unity States is rapidly developing into a full-blown crisis as water supplies start to run out and relief is wholly insufficient. Medical care is not enough when shelter, food and water are lacking for people arriving in an already weakened state. In Upper Nile State around 35,000 refugees crossed the border over a three-week period to find the existing refugee camps overcrowded and already struggling to provide enough water for the 70,000 refugees in the area. The new arrivals initially gathered at a temporary site but the water ran out and, over Monday night, the 15,000 refugees remaining at this location walked en masse the 25km to the nearest location with available water. “We went early on Tuesday morning to provide medical assistance and rehydration points along the route,” says Dr. Erna Rijnierse of MSF. The situation for these refugees could not be more urgent and they need to be provided a place with water, shelter and food as soon as possible. In Unity State, the refugee camp at Yida expanded dramatically over the past two months to around 50,000, with up to a thousand new refugees arriving daily. “At this point what concerns us most in Yida is that half of our consultations are water born illness that are easily preventable with proper hygiene, sanitation and availability of potable water,” says André Heller Perrache, MSF head of mission in South Sudan. Many of the new arrivals from Sudan have walked for many days or even weeks and are in a worse health condition than refugees that crossed in the past few months. Despite efforts of the few organisations present the conditions and facilities facing them on arrival are completely insufficient to cope with the recent influx, nor with the needs of the existing population of the camps. The start of the rainy season adds to the urgency. "As the rainy season intensifies, the situation for the refugees becomes increasingly precarious,” says Heller Perrache. MSF has a massive response in the refugee camps, with more than 50 international staff and just over 300 local staff present. In total MSF is providing more than 6,500 consultations per week, including urgent medical care for the most critically ill of the new arrivals. MSF has also engaged in prevention of disease outbreaks by conducting measles vaccination campaigns for children under 15. At various temporary points in Upper Nile State MSF is treating and distributing water but the available water will run out soon. "That’s why it is so important more organisations get involved in trying to move the refugees to more suitable locations and provide appropriate conditions in the existing camps without delay," adds Rijnierse.